Remember hurricanes Harvey, Irma, and Maria? Those devastating storms may be out of the news but recovery for hard-hit areas is far from complete. Have you been looking for a way to help? 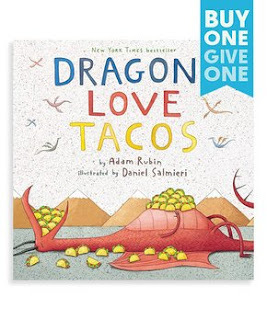 Zulily has teamed up with Penguin Random House to celebrate Family Literacy Month and to make it very easy for all of us to give much needed assistance to children, schools, teachers, libraries, and students in hurricane-affected communities. Please don't delay, the program ends on December 10. There are two ways you can contribute to relief efforts right from the comfort of your home. People in the Gulf states, Puerto Rico, and the Caribbean nations are still struggling to return to normal after the destruction from flooding and winds, and I encourage you to do one or both of the following. Note that the second method won't cost you a cent -- see, I told you it would be easy to help. Method 1: Visit the zulily website and go to their Buy One, Give One page. For every children's book you buy from this program, a book will be donated to a school in need. The choices range from board books like Good Night, Thomas (the Train) to classics like Little Women. There are Lego books and pirate books and Peter Rabbit books. There are chapter books and books boxed with extra goodies (like a stuffed animal). The prices range from about $6 to about $12, and I'm sure you'll be able to get some great holiday gifts for the young readers in your life. You'll find more information here: Buy One, Give One program. To participate in the program through the zulily website, just be sure to look for the blue and white BOGO banner, like that seen in the picture to the right. Buy your book and zulily will take care of the rest. Method 2: Don't have a young reader in your life? Counting your pennies? No worries, zulily understands. Here's another way to make sure schools will still be able to provide their students, teachers, and communities with the gift of reading. This one is so easy. Just visit the zulily Facebook page and leave a comment telling them about one of your favorite childhood books. For each such comment, zulily and Penguin Random House will make a book donation to a school affected by one of the three destructive hurricanes of the 2017 season. It is truly that simple to help a school library rebuilt its stacks: Pop on over to Facebook (you're there a million times a day anyway, right?) and gush about Anne of Green Gables, The Hobbit, Mother Goose, The Hungry Caterpillar, or whatever is near and dear to your heart. 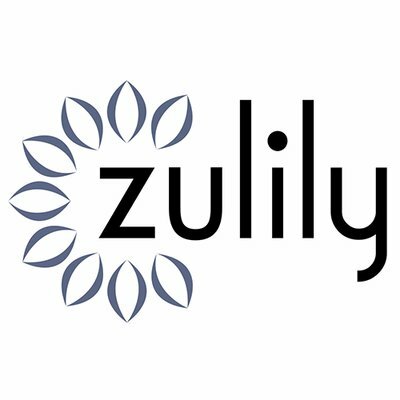 I want to thank zulily for sponsoring this post, but I also want to make it clear that all words and opinions expressed here are my own. I love this! I hope they get many many books! Headed to the site now! This is teriffic- thanks for bringing it to our attention. Do you leave a comment just anywhere, or does it have to be on a particular Facebook post? @Tasha I don't think it has to be on a particular post. I commented on one of the posts highlighting a BOGO book.